It might looks like fantasy images of Dubai city skyscrapers shrouded in clouds or looks like a photo-shopped image but all of these are real pictures of Dubai during foggy season. Dubai gets fog twice a year when the weather changes. Fog gathers in Dubai because of a rise in temperature, moisture in the morning cools and the fog start to appear. 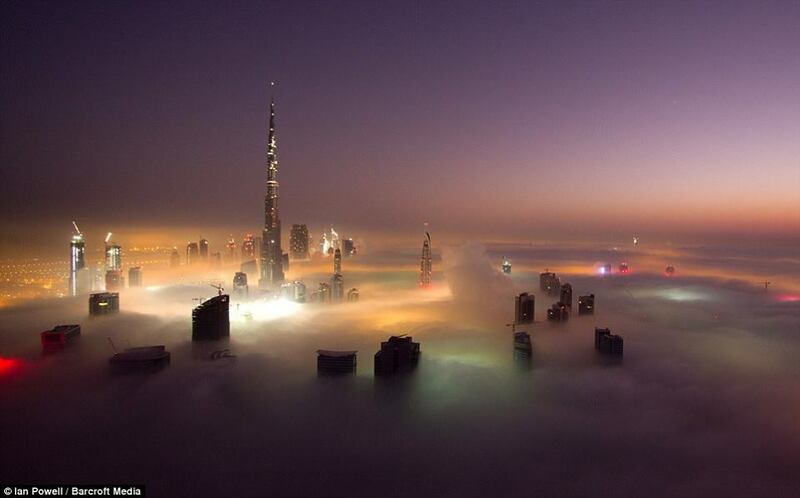 Amazing Dubai Skylines makes this combination of thick fog and huge buildings a majestic scene beyond reality. Most of the time it looks like a snow-covered mountainscape or an underwater Atlantis.